Dimension Films and Trancas International Films have announced that production is scheduled to begin next month on Halloween Returns, the latest sequel in the beloved horror movie franchise Halloween. Marcus Dunstan (The Collector) has been set to direct, working from a screenplay he co-wrote with his writing partner Patrick Melton. 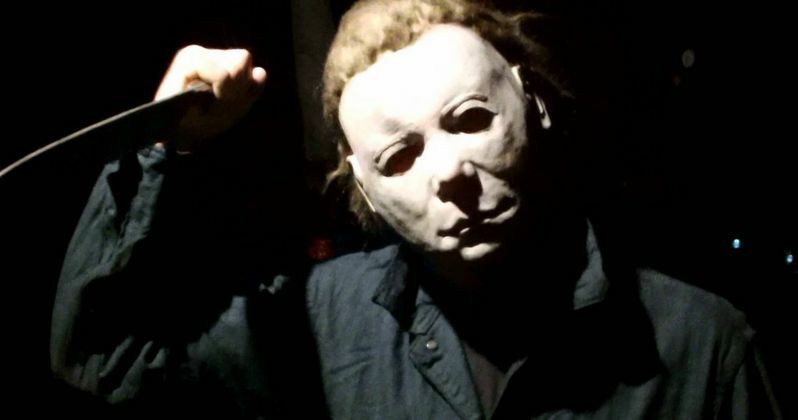 No cast members were announced, but Deadline reports that Rob Zombie, who directed the Halloween and Halloween II reboots, will not be involved in this project. Here's what Bob Weinstein, co-chairman The Weinstein Company & Dimension Films, had to say in a statement. "Michael Myers has taken a long break from the big screen and we know fans are eager to see him return. We are excited to be back in business with Trancas and look forward to bringing one of the scariest installments of this classic franchise to audiences worldwide." Producer Malek Akkad also added his own statement. "The legacy of Halloween is something that Trancas is very proud of, and I look forward to working together again with Bob and Dimension to continue that tradition." Even though Rob Zombie will not be involved in this Halloween movie, it is unknown if Halloween Returns will follow the story set forth in those movies, or if it will return to the continuity of the original horror franchise. With production scheduled to begin next month, hopefully we'll hear more about casting and the plot very soon. Until then, let us know what you think about Halloween Returns below.